Give your home a makeover by starting with your floors. At Mazza's Carpet Hammonton, we carry engineered and solid hardwood flooring that provides an elegant and traditional look. In fact few flooring styles are as elegant and impressive as hardwood flooring. In Hammonton, NJ, our store offers an effective way to dramatically improve the ambiance and value of your home. Choose the kind of floor you want at our warehouse showroom, and our professionals will even install it for you. It’s easy to install your new floors. Let us do it for you! From product selection and flooring consultations to complete hardwood floor installation services, we do it all. Our primary goal is to ensure a finished project that exceeds your expectations. In fact, if you’re not happy with your four or five-star floor within 30 days of installation, we’ll even replace it for you. You deserve more than quality floors and comprehensive hardwood flooring installation. In addition, we provide you with an Ultimate Confidence Guarantee with our products and services. If you ever encounter an installation-related issue with your floor, we fix it at our expense. This promise applies to your floor for life! After all, our primary goal is your 100% satisfaction. You’ll find that we provide top-quality flooring products and services that are second to none. 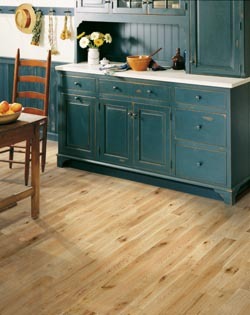 Contact us to learn more about our excellent selection of hardwood flooring. We proudly serve customers in Hammonton, Cape May, Vineland, Ocean City, and Atlantic City, New Jersey, and the surrounding areas.